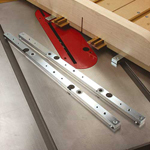 Incra Miter Slider SE - 18"
All steel Miter Slider SE bars are more rigid than any wooden or plastic runners, and they're not susceptible to changes in humidity or temperature. 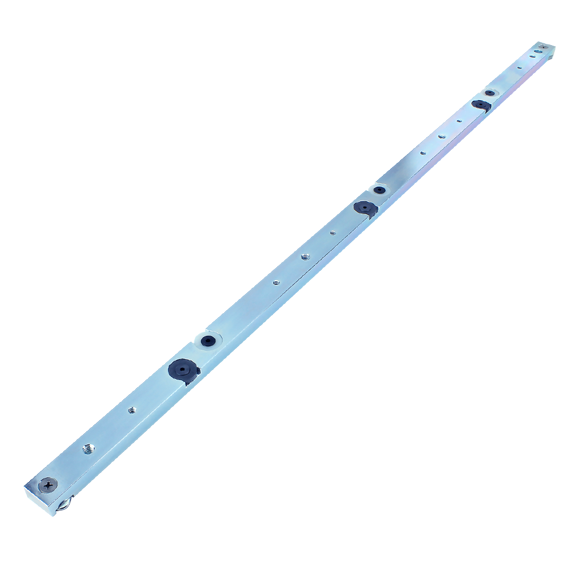 They are drilled with two separate bolt patterns: a set of (4) #10-24 holes to match perfectly with the INCRA Build-It Panels; and a second set of (3) 1/4-20 holes; all evenly spaced along the length to accept knobs and other fasteners commonly used when building jigs and fixtures. Long-wearing Nylon GlideLOCK adjusting discs provide a precise fit in the miter slot of most table saws, router tables, and band saws, and the discs also give the bars a smooth, low-friction travel. The 18" bar has two pairs of adjustment points. 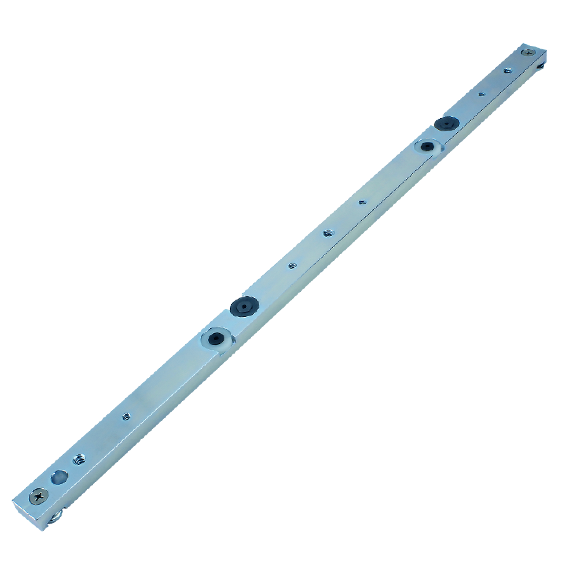 Includes removable T-slot retaining clips for BOTH ends of the bar for superior stability of larger jigs. Incra Miter Slider SE - 25-1/2"